​It's 1947, and India, newly independent of British rule, has been separated into two countries: Pakistan and India. The divide has created much tension between Hindus and Muslims, and hundreds of thousands are killed crossing borders. Half-Muslim, half-Hindu twelve-year-old Nisha doesn't know where she belongs, or what her country is anymore. ​When Papa decides it's too dangerous to stay in what is now Pakistan, Nisha and her family become refugees and embark first by train but later on foot to reach her new home. The journey is long, difficult, and dangerous, and after losing her mother as a baby, Nisha can't imagine losing her homeland, too. But even if her country has been ripped apart, Nisha still believes in the possibility of putting herself back together. 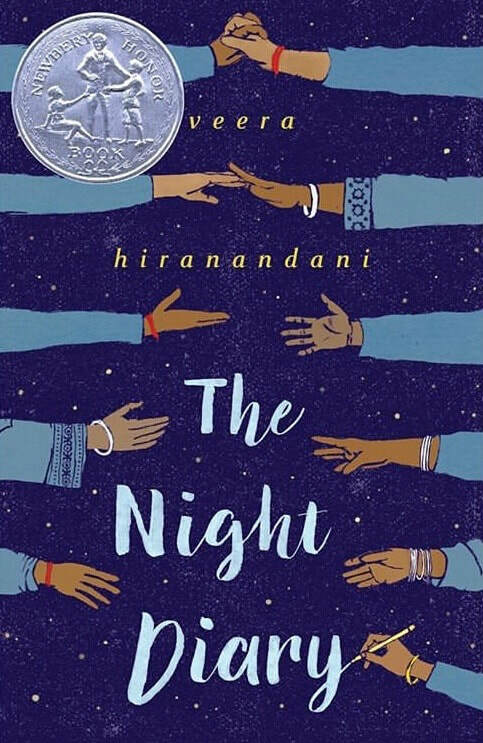 Told through Nisha's letters to her mother, The Night Diary is a story of one girl's search for home, for her own identity...and for a hopeful future. Order on Indie Bound, Barnes & Noble or Amazon! ​After her father loses his job, Sonia Nadhamuni, half Indian and half Jewish American, finds herself yanked out of private school and thrown into the unfamiliar world of public education. For the first time, Sonia's mixed heritage makes her classmates ask questions—questions Sonia doesn't always know how to answer—as she navigates between a group of popular girls who want her to try out for the cheerleading squad and other students who aren't part of the "in" crowd. ​Order on Indie Bound, Barnes & Noble, or Amazon! Phoebe loves her pet fish, Betty #2 (named after Betty #1, may she rest in peace), making lists, and her best friend Sage. But when Camille, a tall French girl, arrives at school with unusual lunches, Phoebe’s friendship with Sage doesn’t seem so important anymore. Thanks to Camille, Phoebe discovers goat cheese, butter lettuce, and cilantro (although she’s convinced that’s not a real word). She’s determined to get invited to her new friend’s house for dinner to see what other mysterious food Camille eats. But what about Sage? Can Phoebe make a new friend and keep an old one? Order the whole series on Amazon, Indie Bound or Barnes & Noble!